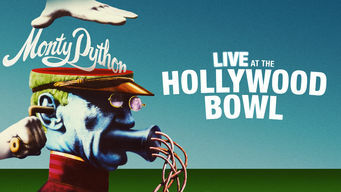 How to watch Monty Python: Live at The Hollywood Bowl (1982) on Netflix Argentina! Sorry, Monty Python: Live at The Hollywood Bowl is not available on Argentine Netflix, but you can unlock it right now in Argentina and start watching! With a few simple steps you can change your Netflix region to a country like USA and start watching American Netflix, which includes Monty Python: Live at The Hollywood Bowl. We'll keep checking Netflix Argentina for Monty Python: Live at The Hollywood Bowl, and this page will be updated with any changes. Monty Python: Live at The Hollywood Bowl is not available in Argentina BUT it can be unlocked and viewed! Film clips and Terry Gilliam animations feature in this live-to-tape performance of greatest hits, including "Travel Agent" and "Solo Wrestling." The British comedic icons are in America to deliver their stream-of-consciousness humor, with no shame -- and no pants. There is a way to watch Monty Python: Live at The Hollywood Bowl in Argentina, even though it isn't currently available on Netflix locally. What you need is a system that lets you change your Netflix country. With a few simple steps you can be watching Monty Python: Live at The Hollywood Bowl and thousands of other titles! Watch "Monty Python: Live at The Hollywood Bowl"